Local authorities cannot impose restrictions on a person’s contact with their relatives without lawful authorisation and must refer the matter to the Court of Protection for determination at the earliest opportunity where there is a dispute. Deprivation of Liberty Safeguard (DoLS) authorisations and the conditions under an authorisation do not provide lawful authority for contact with family members to be restricted. 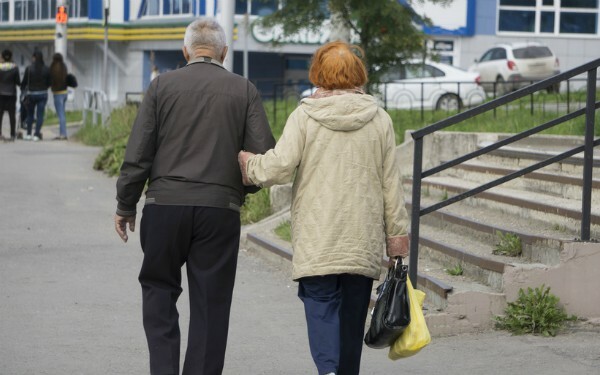 In a recent case, SR, an 83-year-old woman diagnosed with Alzheimer’s dementia, lost precious contact time with her husband, JR, after a council unlawfully placed restrictions on their contact by failing to make an application to the courts. This led to a court judge labelling the restrictions as neither “justifiable, proportionate or necessary”. SR had been married to her husband for 58 years and was placed in a residential care home in 2016 by the local authority due to concerns about how her family was coping. Prior to moving into residential care, SR had been residing at the family home with JR and neither he nor the couple’s children were supportive of a move, with frequent requests made to the local authority for SR to return home. The court heard that JR visited his wife twice a day at the care home and spent time with her outside of the home. On 27 May 2017, the council imposed restrictions on SR’s contact with JR after it was reported he had made comments about “supporting euthanasia”. The local authority informed the care home that JR was not permitted to take his wife out into the community without a chaperone due to the risk that he may pose to his wife. JR and his children objected to these restrictions and notified the local authority of those objections. Yet crucially, the council failed to make an application to the Court of Protection and imposed restrictions on SR’s contact with her husband without lawful authority. Under the Mental Capacity Act 2005, SR had been appointed a paid relevant person’s representative under DoLS and, in light of her objections to the placement and clear dispute between the local authority and the family in relation to SR’s best interests, an application to the Court of Protection was made on her behalf under section 21A of the MCA. At the initial hearing, the local authority made an oral application at court, without supporting evidence, seeking court authorisation for the restrictions on contact between SR and JR. The judge said she felt that she had no choice but to grant the application on an interim basis because the local authority had failed to provide her with any evidence as to the risk and she, therefore, had to rely on the local authority’s judgement. The council was directed to file a schedule of factual findings sought, together with supporting evidence and the case was listed for a two-day fact-finding hearing in May 2018. At the hearing, the judge heard evidence from JR and his daughter, ShR. The court was informed by JR that he would never hurt his wife and this view was supported by ShR. Both expressed frustration at the way the local authority had handled the situation and the lack of communication with JR to look into why he had made the comments. Judge Buckingham ruled on 6 June that, while JR’s comments gave rise to a legitimate concern on behalf of the professionals, she did “not consider that there was adequate investigation into the reasons why JR has made such comments and what he understands by the notion of supporting euthanasia”. She noted that after the initial comment was made by JR in 2016, SR returned home to live with her husband and, following her readmission to the care home, “extensive unsupervised contact took place” between November 2016 and May 2017. It was also highlighted by Judge Buckingham that JR continued to have unsupervised contact with SR for approximately two hours per day at the care home. “When it became clear that the family did not support the care or contact arrangements, the matter should have been referred to court,” Judge Buckingham added. Katy Cowans is a public law and human rights lawyer at Irwin Mitchell Solicitors with nearly 20 years’ experience of representing vulnerable people and their family members. Ashley Day is a trainee legal executive at the same firm and previously worked as a paralegal. What benefits are important to you as a social worker?